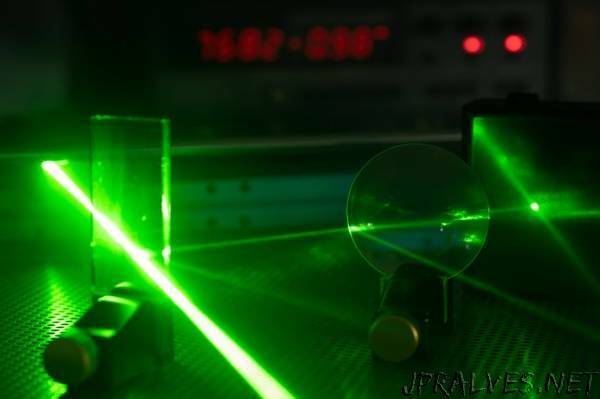 “Researchers at the U.S. Army Research Laboratory and the Joint Quantum Institute have created a pristine quantum light source that has the potential to lead to more secure communications and enhanced sensing capabilities for Soldiers. ARL’s Dr. Elizabeth Goldschmidt and JQI’s Dr. Sunil Mittal and Prof. Mohammad Hafezi discuss this research in their paper titled “A topological source of quantum light” that is featured in the journal Nature. Photons, the smallest amount of light that exists, are useful when it comes to carrying quantum information, which can be used for encryption to avoid interception from adversaries and enhanced sensitivity to the environment. According to the researchers, one major part of the puzzle is that the photons must be undisturbed and as similar as possible in order for secure communications and Soldier systems to operate at the highest quality. The research team has successfully developed a silicon chip that guides light around the device’s edge, where it is protected from disruptions. For this experiment, the researchers used silicon to convert infrared laser light into pairs of different-colored single photons. “We injected light into a chip containing an array of miniscule silicon loops, and the light circulates around each loop thousands of times before moving on to a neighboring loop,” Goldschmidt said. According to Goldschmidt, the issue with the long journey the light takes, while necessary to get many pairs of single photons out of the silicon chip, is that small differences and defects in the material reduce photon quality. “This is a problem for quantum information applications, as researchers need photons to be truly identical,” Goldschmidt said. To solve this issue, the team rearranged the loops in a way that allows the light to travel undisturbed around the edge of the chip, shielding the light from disruptions. An added benefit to the silicon chip developed is that it works at room temperature unlike other quantum light sources that must be cooled down, making the process a whole lot simpler. For Goldschmidt, this project opens up a new research chapter for her, and is one that she hopes includes similar collaborative opportunities.